Published on Dec 28, 2017 at 2:13 pm in News. Written by Ryan Raplee. Wow. That was FAST. I can’t remember a year that has ever felt like it’s gone by as fast as 2017 has. It’s time again to take a moment and look back in the rear view at another extraordinary year. Being founded in May of 2016, 2017 marked the first full calendar year that Legal InSites has been in business. While last year we grew from zero clients, this year began with a solid foundation. We welcomed even more clients to our family. We’ve been fortunate to build relationships with them that go beyond talking internet jargon. 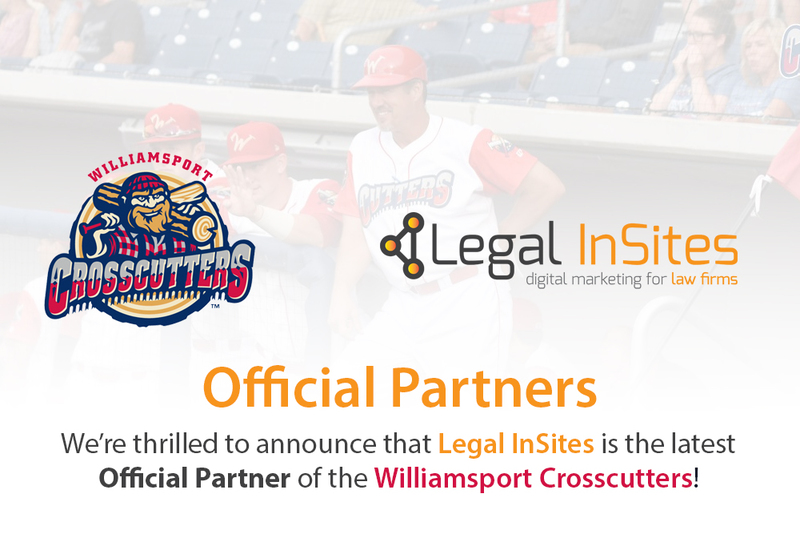 In April of 2017 we opened the official Legal InSites HQ office in Williamsport, PA, allowing us to expand our team and have a creative and collaborative work environment to call home. Shortly after opening the office, we welcomed two very talented individuals to our team. Tess Pearson, a graduate of Lock Haven University, joined our team as Social Media Specialist. Tess is fully engaged in the current social media landscape and is ensuring our clients’ success utilizing the platforms. Anna Criswell, a graduate of Penn State University, joined our team as Content Writer. Anna hit the ground running as soon as she joined the team by writing excellent content that matches the high level of quality we strive to achieve. Can I brag for a moment? This year we added 4 new web design awards to our growing award resume. We won a Gold Davey Award, Gold dotCOMM Award, a Platinum Hermes Award, and a Gold Hermes Award! We participated in an annual fundraising event called Extra Life, raising $730 for sick kids at our local Children’s Miracle Network Hospital, Geisinger Janet Weis Children’s Hospital. We had a blast playing video games for 24 hours knowing we helped make a tiny but positive impact on a sick child’s life. Over the holidays we had a great time volunteering our time with the Salvation Army distributing Christmas gifts and food to our less fortunate neighbors. When you think team building destination what comes to mind? Vegas, of course! So naturally we went to Vegas. It was the first time that we were all in the same spot at the same time. It was an awesome experience that we’ll all never forget. It brought us closer as a team. I can’t wait to see where we go in 2018. Thank you to our clients who enable us to thrive in the careers we love. We’ll continue to give you our very best and work exceptionally hard in growing your online reach that generates new leads and clients for you. If you’re reading this and not already a client of ours, we would love to work with you. Let’s make this a special year for your firm by laying the foundation that will inevitably take your practice to new heights. Success in SEO doesn’t happen overnight—it takes time, patience, and a lot of hard work. There is no better time to start than now.